As I previously noted, thanks to a generous sponsorship from Business Objects and the Eclipse Foundation, there will be an Open Source Pavilion at EclipseCon this year. Ten pods have been set aside to celebrate projects that exeplify the F/OSS community that represents the spirit of EclipseCon. It’s a great example of an ecosystem in action. Midgard is one of these. My session proposal can be found from EclipseZilla, the conference’s Bugzilla-based program manager. 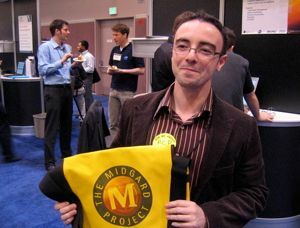 While I will be focusing on regular Midgard and MidCOM in the session, we have been talking with Jukka about trying to get Day’s Eclipse plugin to work with Midgard-Java before the event. 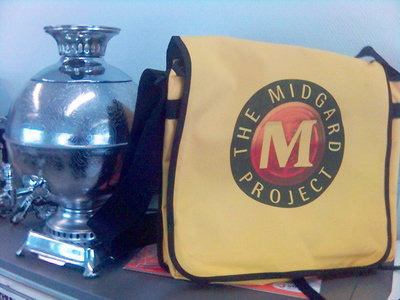 We are happy to accept your Demos proposal - “Midgard CMS” - for EclipseCon 2006. Within a month or so, you will receive a Speaker Agreement from us outlining all the deadlines, audio-visual, permission forms, etc. Until then, your only task is to celebrate this acceptance with your favorite beverage. 09 March 2006. 1 minute read.